One Sunday morning, a teacher showed her Sunday school class a picture of famous people gathered around God’s table in heaven. The teacher asked them, “Where are you in this picture?” The children were puzzled. Finally, a child spoke up; “We can’t be in the picture, we’re not dead yet.” Such an understanding presents the resurrection as a distant and future reality. 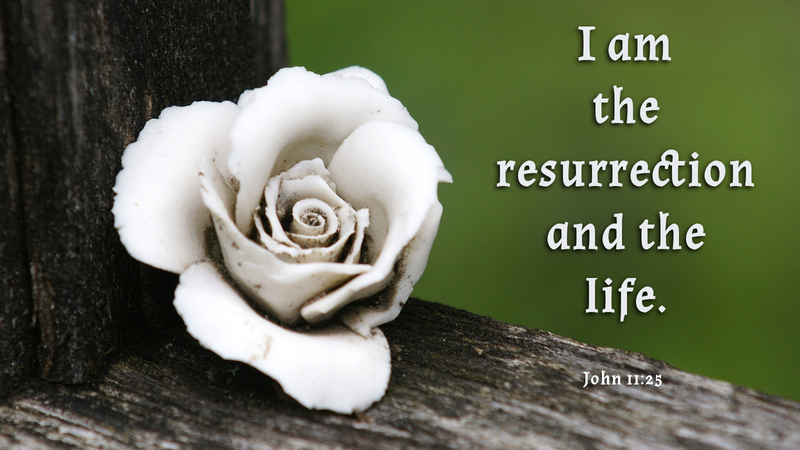 Jesus’ announcement, “I am the resurrection and the life,” teaches us that the resurrection is closer than we may realize. Because of sin, every moment of human life occurs in the face of death. Yet, by grace through faith in Christ Jesus, our sins are forgiven and death has lost its sting. Therefore, the resurrection is not some far off point in time that we await; it is a present reality for those who know Christ as Lord and Savior. In their grief, Mary and Martha saw only the earthly picture, the one in which their brother Lazarus was missing. They could not imagine life without their brother, nor understand that in Christ, death is swallowed up in victory. Jesus invites us to gaze upon the heavenly picture and realize our place at God’s table. As we do, we have fellowship with the saints of every time and space, because we are in Christ, the resurrection and the life. Prayer: Keep us in fellowship with all your saints, O Lord, as we gather around your table of grace. Amen.